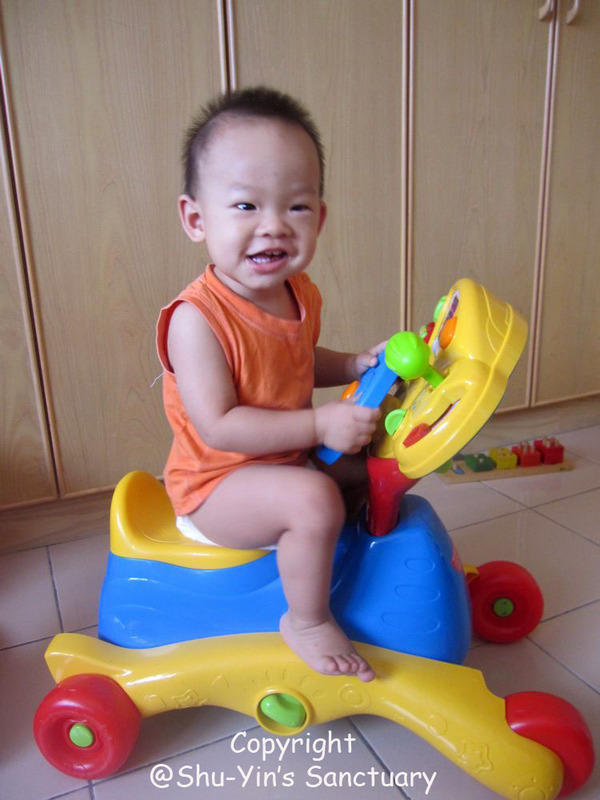 Shern received a V-tech 3-in-1 Smart Wheels for his birthday from the Mah's family. 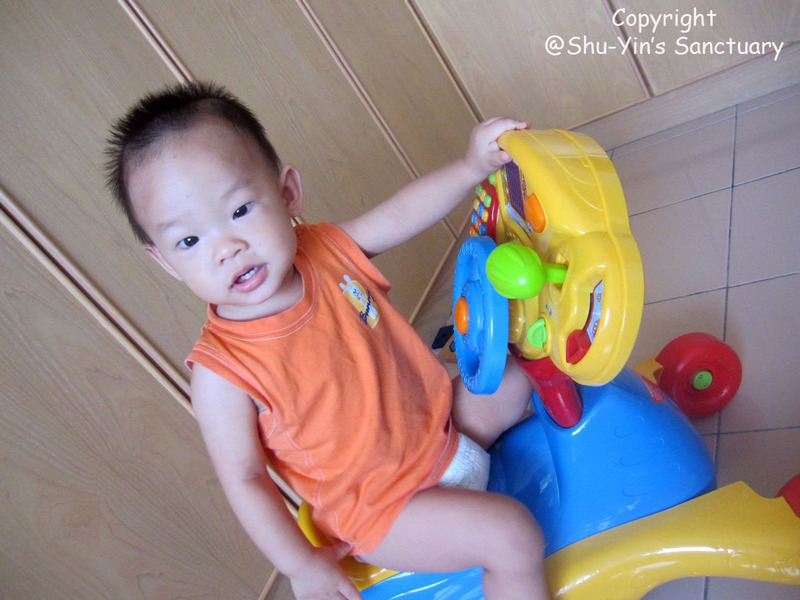 We call it Shern's Bike. He loves it. 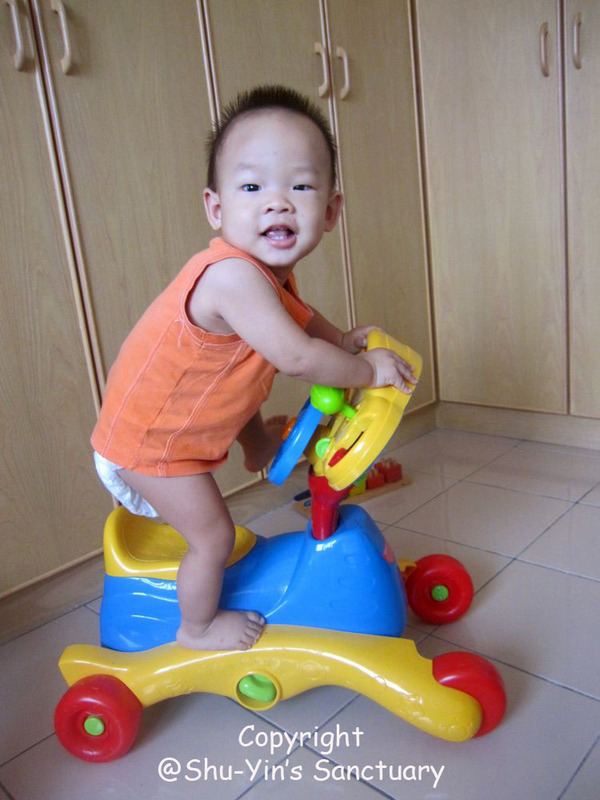 Before he can walk, he uses the bike as his walker. 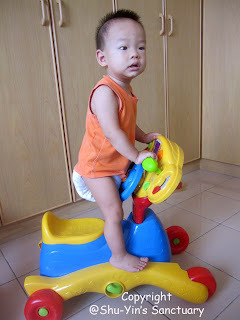 He will push and maneuver the bike to the directions he wants to go. 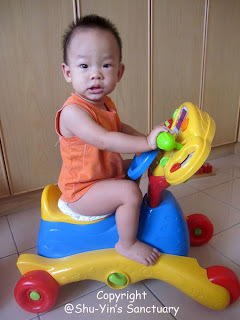 And now, he enjoys sitting and erm...standing on bike, his hands on the steering wheel and pushing all the buttons on his bike. 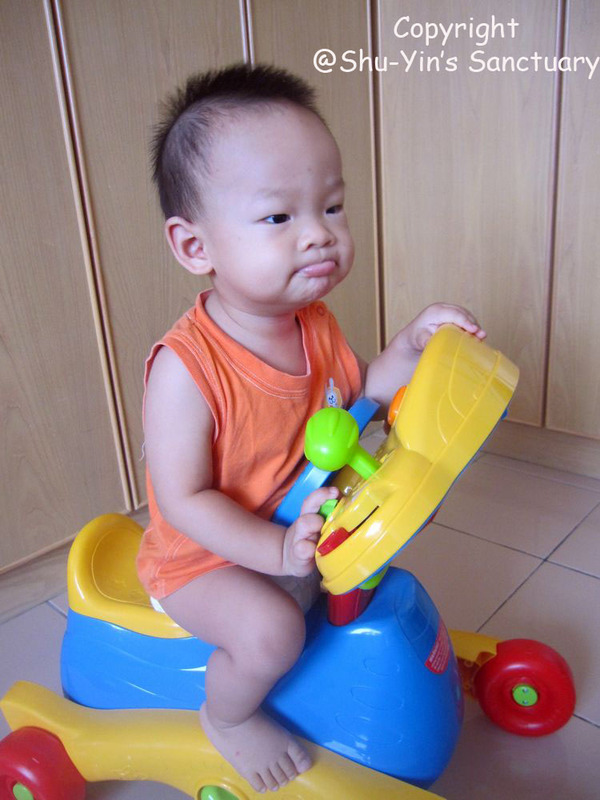 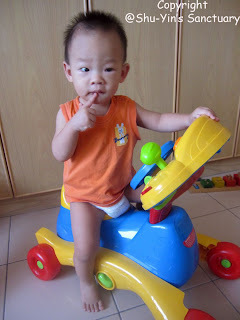 Don't think that Shern is always sitting on his bike acting all 'kuai-kuai' like the photo below. Don't let this photo fool you. Mostly, Shern is doing all kinds of stunts on it, just like the 3 photos below. 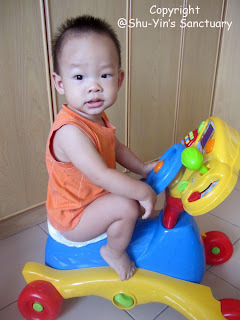 Anyway, Shern enjoys the bike a lot. He plays with it every day. 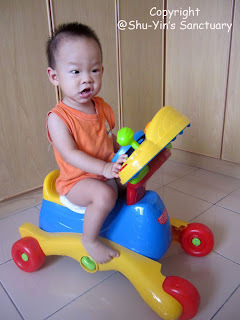 Look at below priceless expression from Shern on his bike? Awesome!